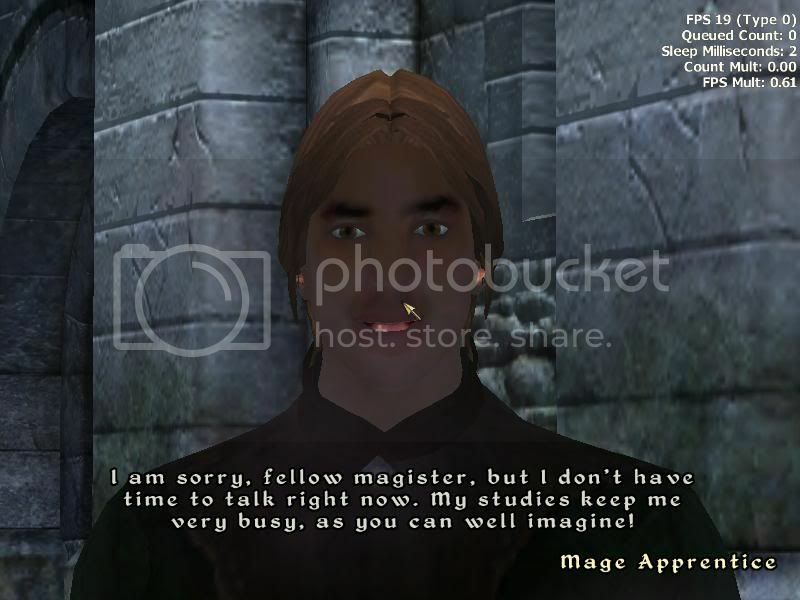 This is an archive of past Oblivion talk:Mages Guild discussions. Do not edit the contents of this page, except for maintenance such as updating links. Should 1.5 Raminus Polus' Quest & 1.6 Hannibal Traven's Quests be their own subsections? It seems like they should just be headers under a general quest subsection. 7 Skingrad Mages Guild Sales Refusal? 12 Alchemy = Easy Gold? 13 Get 2 mage apprentices. 18 Paintbrush exploit to use altars. Does anyone know what those wierd glowing stones are in the leyawin mages guild? i cant use the console unlock thing [because] i [am] on [the] xbox. Do they do anything special? Skingrad Mages Guild Sales Refusal? Paintbrush exploit to use altars. You get the key right when you start doing recommendations, so just use the paintbrush glitch to get over the wall at the arcane then you should beable to use the altars. This page was last modified on 16 September 2012, at 19:52.